Time for another Sunday session in the park! 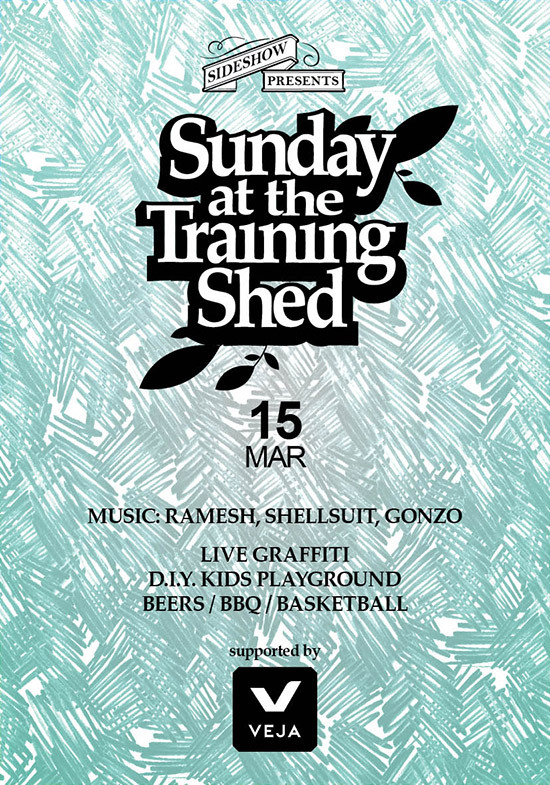 This month we have music from DJs Ramesh, Gonzo and Shellsuit, Live art by Ceno2, Zero, Sheep, Pedmons, D.I.Y. cardboard playground and chalkboards for kids. The Spaced Out Show will be streaming video of the event live on their channel. This edition of Sunday at the Training Shed is supported by ecological footwear company, Veja. p.s. No outside food and drinks please – we rely on your custom to keep the party rolling. Thanks! !